Spring is a great time to get outside and enjoy being close to nature. 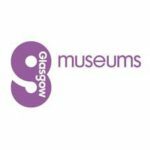 Glasgow Museums’ Wildlife Around Glasgow: 50 Remarkable Sites To Explore will help you find fascinating places to visit, and offer new insights into familiar locations. In this book more than 40 expert authors share their in-depth knowledge of a wide variety of nature sites, and detail what plants and animals to look out for in different seasons. Spring highlights include bluebells at Garscadden Wood, cuckoos at Loch Ardinning, spawning newts, frogs and toads at Possil Marsh, peregrine falcons at the Falls of Clyde and wildflowers on the Cathkin Braes. 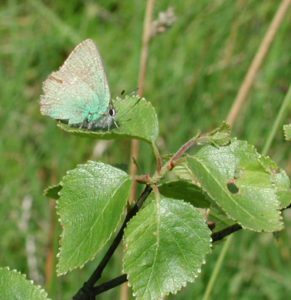 Rare species to be seen in spring include the parasitic toothwort in Pollok Country Park, the green hairstreak butterfly on Commonhead Moss, nationally scarce bog-rosemary at Lenzie Moss and the lesser whitethroat warbler at the Gleniffer Braes. The book features introductory chapters about the local geology, climate and habitats, and conservation and natural history study in the area, and also provides practical information. Get a taster of the book via this excerpt below on the Whangie’s geological history and moorland wildlife. Queen’s View and the Whangie are both situated on the northern edge of the Kilpatrick Hills. Queen’s View is a raised area at the southern end of Stockie Muir. It was given its name after a visit by Queen Victoria in 1879, as it is where she gained her first view of Loch Lomond. Indeed, from this spot you get excellent views of not just Loch Lomond, but also Ben Lomond and the Arrochar Alps to the north. The Whangie is a striking landscape feature about two kilometres to the west, on the western edge of Auchineden Hill. A huge block of the basalt has broken away from the hillside to leave a striking narrow chasm roughly 100 metres long and with steep sides reaching 15 metres high, which is much-loved by rock climbers. ‘Whang’ in Scots means ‘thick slice’. 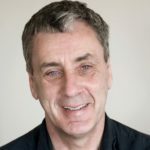 A variety of explanations have been suggested for how the Whangie was formed, both natural and supernatural. Local folklore claims that the devil flew over the spot, and while doing so flicked his tail and cut through the rock. It has also been attributed to earthquakes and to ‘glacial plucking’, meaning that a slow moving ice sheet passing over the hill pulled the rock away from the hillside. However, the feature seems to be the result of a landslide. The block of basalt split away and slid downhill over weaker underlying sandstones. Older collapsed blocks can be seen just downslope. Stretching out from the north is Stockie Muir. Here there is a typical moorland flora with heather, bracken, blaeberry and rowans. In damp areas there are occasional patches of bog asphodel, which has yellow flowers in summer and striking orange-coloured seed heads in autumn. Ravens nest amongst rocky outcrops in the area and they can often be seen and heard flying overhead. Both red and black grouse are present, and the distinctive ‘cour-lee’ call of the curlew is often heard. Whinchats, regular summer visitors from Africa, can be spotted sitting at the top of isolated gorse bushes. Brown hares may be seen, and secretive otters live nearby. 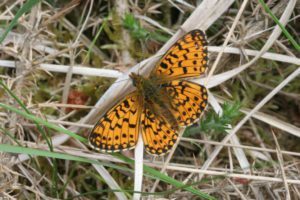 On sunny days in late spring and early summer, several species of butterflies may be observed, including green hairstreak and small pearl-bordered fritillary, and golden-ringed dragonflies may be seen hunting for smaller insects. 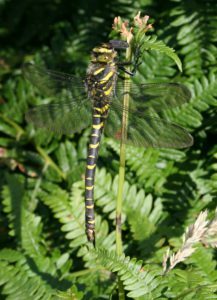 If you look carefully, the distinctive caterpillars of drinker moths and emperor moths can sometimes be found on vegetation beside the path. 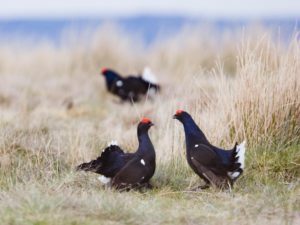 If you visit in the early morning, you may be lucky enough to see black grouse lekking – engaged in courtship displays – on a mown area of Stockie Muir, a few hundred metres north of the car park. The males – blackcocks – strut around and try to outdo each other with elaborate displays, fluffing up their white tail feathers and making a distinctive call, a dove-like, rolling ‘coo’ with a regular and explosive ‘sneeze’, while the females – greyhens – watch from the sidelines. 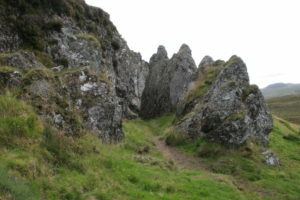 Auchineden Hill (NS494804): there is a path that climbs to the top of the hill from the Whangie. On a good day there are fine views across to the Kilpatrick Hills, Dumgoyne, Loch Lomond, Ben Lomond and the Arrochar Alps. Note: There is a well-marked path from the Queen’s View car park to the Whangie. The path is steep in places and often wet and muddy. Walking boots are highly advisable. Allow an hour and a half for the 4km walk there and back. By bus: There is very little public transport, but Aberfoyle Coaches service C8 runs past Queen’s View on a Saturday, twice in each direction between Glasgow Buchanan Bus Station and Balfron (see.aberfoylecoaches.com). By car: Head out of Glasgow on the A82. At Anniesland Cross, turn right along the A739 and then follow the A809 (for Drymen). Queen’s View car park is on the left, about 1km past the Auchengillan Outdoor Centre. 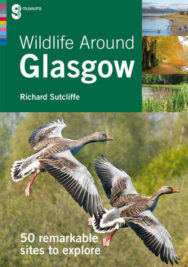 Wildlife Around Glasgow: 50 Remarkable Sites To Explore is out now published by Glasgow Museums Publishing priced £9.99.